In his first inaugural address, in 1933, President Franklin D. Roosevelt reassured a country consumed by the Great Depression that Americans would “face the arduous days that lie before us in the warm courage of unity.” Yet at times of great political challenge, agreement on a clear, resounding objective does not guarantee unity of effort inside political movements. National movements provide an extreme example of this problem. They can ill afford what Nelson Mandela, one of the leading figures of the African National Congress, in 1976 called “the luxury of division and disunity.”  Yet many are riven by those same internecine forces even as they fight for freedom and rights through national independence. Benjamin Lambeth and Jerome Slater share a common interest in the military meaning of Arab-Israeli confrontations of the last decade, but they come at the battles very differently. 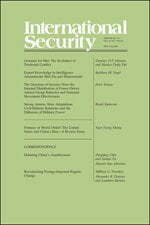 Whereas Lambeth is interested in analyzing the Israel Defense Forces’ effectiveness and learning curve, Slater is focused upon the morality of Israel’s actions, calling Operation Cast Lead (2008-09) a “moral catastrophe.” (44) Even though the authors cover some of the same events, one would be hard-pressed to develop a common narrative because they hold very different perspectives on Arab-Israeli events and history. Review Essay 10 on Cutting a Fuse, not the Fuse! 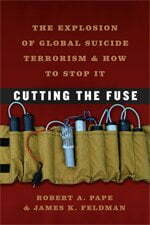 July 31, 2012 by James M. Lutz·Comments Off on Review Essay 10 on Cutting a Fuse, not the Fuse!